It's no secret that Sony is undergoing some substantial changes, with more likely still ahead on the company roadmap. While we can't exactly say for sure how the recently-announced, upcoming CEO change will trickle down to other management positions, as well as products and design directions in particular divisions, like Sony Mobile, it is pretty clear that the company is already morphing. Whether or not the new design appeals to you is clearly a matter of personal taste and something we can't really weigh in on. It is equally hard to say with certainty, if it is better than Sony's designs of old. What we can and intend to do, however, is provide an in-depth look on the new "Ambient Flow" concept, the changes, omissions and additions it brought about and hopefully help you build an opinion from there. The same goes for the performance of the Xperia XZ2. Having a decked-out specs sheet is one thing, but actually building a good experience around it poses a whole other set of challenges. Stick around as we dig deeper into all matters, Xperia XZ2. 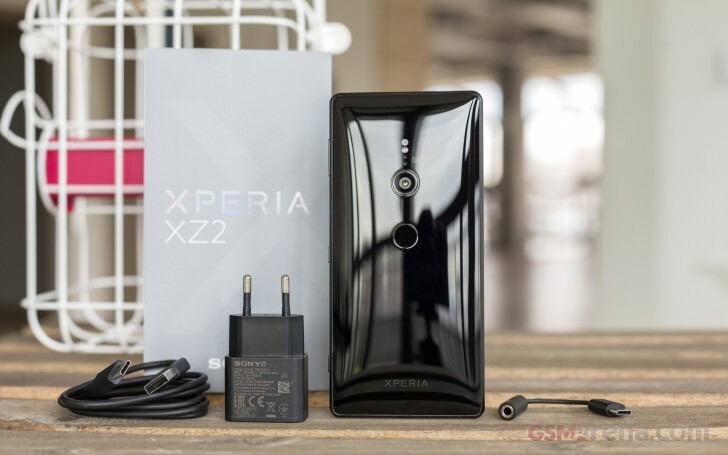 But, before we get into any of the more serious aspects, let's see the first impression the Xperia XZ2 makes. The box it ships in is nothing too fancy, but rather just sturdy and functional enough to get the logistics job done right. We've always been proponents of this approach, over fancy packages, that add additional cost and then gather dust in a drawer. Sony's box of choice is a two-piece affair, made of sturdy printed cardboard - toned-down colors, nothing too extravagant. Still the internals feature nifty plastic trays to hold everything securely in place. In terms of accessories, you get a fairly compact wall charger and a USB cable to go with it. As promised, Sony is also bundling a Type-C to 3.5mm adapter, to make up for going down the Apple road and ditching the audio jack. Our review unit came with a basic USB-C to 3.5mm adapter, but Sony did promise it would include a more versatile Y-style splitter in retail boxes on certain markets (Europe for sure), so users charge and listen at the same time. Also, given the company's track record and ever-growing assortment of audio accessories, you can likely expect to find the Xperia XZ2 bundled with a pair of headphones on many markets, for a better deal. We only wish the provided charger was QuickCharge-enabled. If you are after a quick charger, quick might have to buy one separately. That being said, some extra digging revealed that the accessory package for both the XZ2 and the XZ2 Compact will vary quite a bit from market to market. Many will be receiving a Quick Charge 3 unit in the box. You can also expect to find a pair of Sony MH750 headphones. Check with your retailer of choice to be sure. Fingerprint reader in backside. Xperia performance it was power/fingerprint button and side mounted. And Sony is implementing that configuration back, because it's most logical placing of a button. 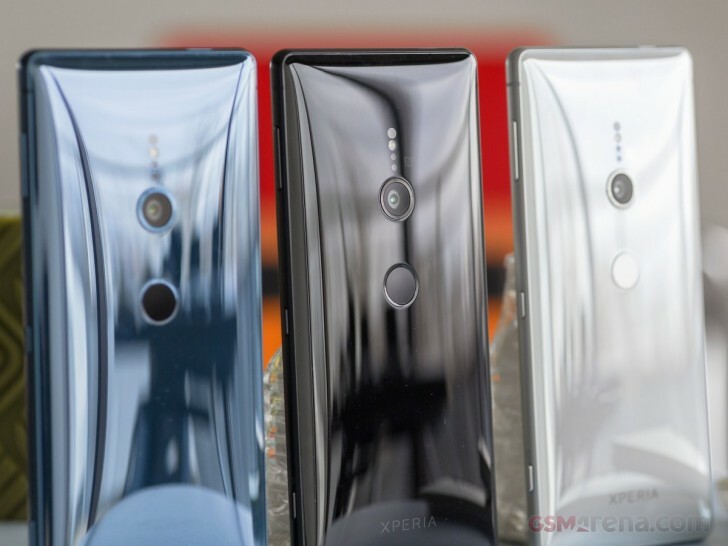 Yes indeed it is very reminiscent of Xperia performed.. Looks design wise the same, only taller, little smaller bezels and power button removed just back. if you need to compare this with the Samsung A9 ..... ?